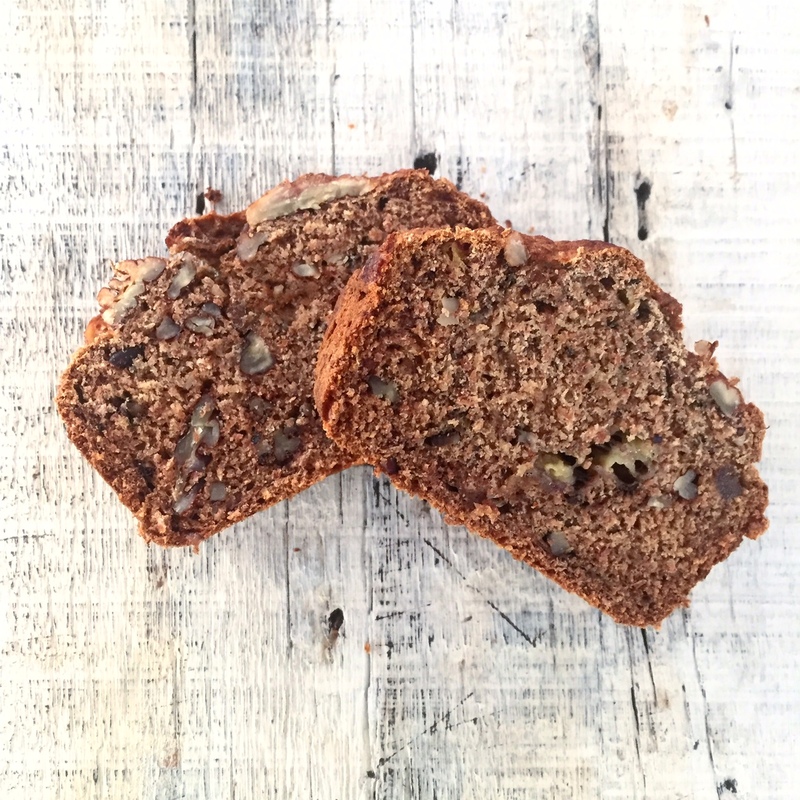 This banana bread is so darn good, you won’t miss the sugar, milk, butter or eggs. I swear. It’s easy to make too. Enjoy! In a bowl, mash peeled bananas with a fork. In a blender, add the pitted dates and the water. Blend until smooth to create date paste. It's ok if there are still bits of date not completely blended. Add the date paste and coconut oil to the bowl with the banana. Mix well. In a separate bowl mix the dry ingredients together: spelt flour, baking soda, salt, cinnamon, adding the nuts last. Add the dry mixture to the banana bowl and mix well to combine. Pour the mixture into a loaf pan that is lightly greased with coconut oil if needed. Bake for 35-40 minutes. Check with a fork for doneness. You should be able to remove the fork with out wet batter when the loaf is finished. Try to allow it to cool before you cut into it.